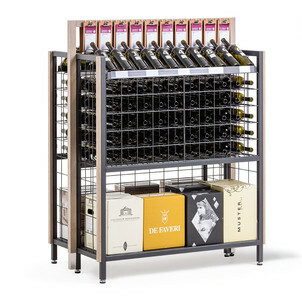 Vino tech wine shelving from Wanzl offers exclusive presentation for your wine selection. The bottles may be placed at an angle for optimum label readibility, laid flat or stored in boxes for large volume sales. 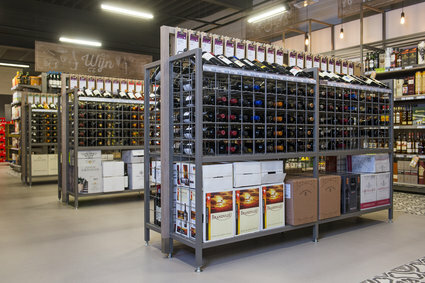 Vino tech is available as a wall display or gondola end solution. Placing Vinotech as an end cap encourages more impulse buying. Available in a range of finishes to complement your products and sales area. Click here for more details on the Vinotech solution.